Uber drivers in New York City aren't happy about the ride-hailing service's latest rate cuts. "Do not use technology as a tool of exploitation," read one sign. "No one wins the race to the bottom" read another. The protest was in reaction to Uber's decision to slash its rates in New York City by 15%. 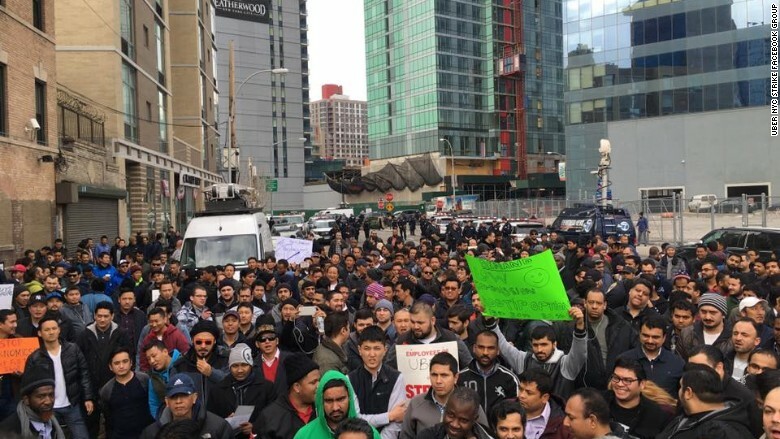 So on Monday, at 12 p.m., drivers gathered in front of Uber's Long Island City office as part of a planned protest. Leading up to the event, drivers were passing out fliers to Uber customers, "Let's shut down Uber for the entire day. Do not use your app for 24 hours starting Monday ... It is time for our voice to be heard." More than 800 people RSVPed on Facebook that they would attend the event. According to Uber, the reason for the price cuts is seasonality -- ride requests tend to drop in winter months. If it can incentivize people to take more Ubers, the drivers will be busier and make more money, the company said. Drivers protesting in front of Uber's office on Monday. 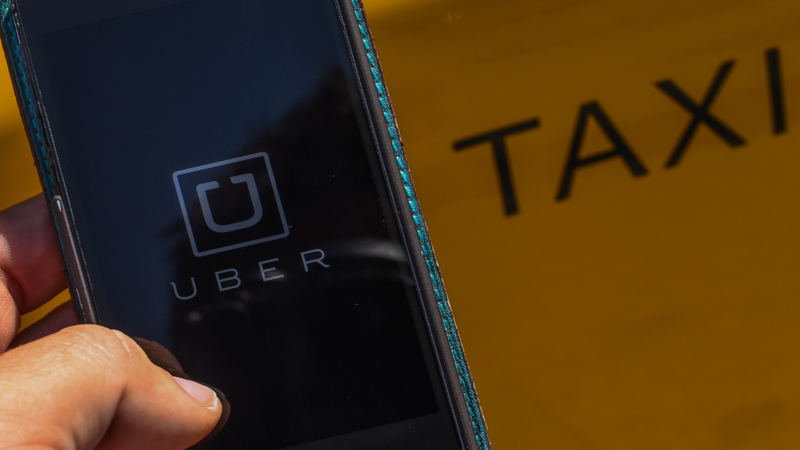 But the minimum rate isn't ultimately what the drivers pocket: Uber takes a 20% to 25% cut of the fare (depending on how long the driver has been working with Uber), as well as a state sales tax of 8.875%. Uber has also implemented a new hourly guarantee for drivers, $30 to $40, depending on the time of day. But that rate doesn't include Uber's cut or taxes. Many drivers aren't satisfied -- but an Uber spokesperson told CNNMoney that driver satisfaction is a priority. "Price changes need to work for drivers," said the spokesperson. "If for any reason the price cuts are not giving drivers more business and better earnings, we will consider changing them as we have in other cities." So far, according to Uber, the results of the rate cuts are "promising." "Over this past weekend drivers spent 39% less time without a fare and as a result saw a 20% increase in hourly earnings compared to two weekends before."